Facebook first previewed a mobile Like button at its f8 conference in April, but the company announced today that it is rolling the feature out for anyone. 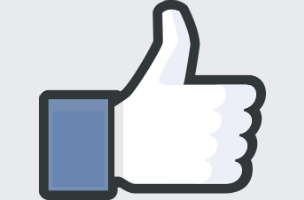 Now app developers can use the Like button to get people to easily become a fan of the page. Today, we are excited to make the Like Button available to all Android and iOS mobile app developers. People using a mobile app can directly Like the app’s Facebook Page, or any Open Graph object within the app, and share on Facebook. The mobile Like Button works seamlessly with the Facebook account the person is logged into on their device, allowing people to Like any piece of content, while in your native app. Krabach noted that app developers should determine the most relevant time to show users the Like button, such as when someone playing a game reaches a certain level. Developers could also choose to show the Like button after the user opens the app for the first time, especially if the app has high recognition or an active community on Facebook already. Learn how to install the Like button: iOS — Android. Readers: What do you think about this news?